Differentiate between physical activity and exercise. Describe the benefits of cardiorespiratory exercise and resistance training. 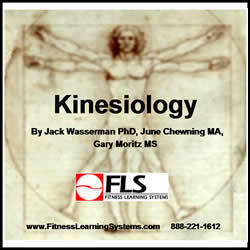 List and describe the 5 components of physical fitness. Explain the 6 principles of exercise training. List and discuss the ACSM guidelines for physical activity, cardiorespiratory, resistance, and flexibility training. Identify the major bones in the human skeleton, and discuss the structure of bone and how it is formed. Identify the major muscles in the human body, and discuss the 5 characteristics and structure of muscle, and describe 4 muscle actions. Identify 6 joint structures in the human body. Describe the 4 planes of motion and 3 axes of rotation in human movement. Identify and describe movement at the primary joints in the human body including the plane of movement, axis of rotation, and muscles used.